District, SW 9th Merchants Association, Des Moines East and South Chamber of Commerce, Indianola Hills Neighborhood Association, Gray’s Lake Neighborhood Association, Watrous South Neighborhood Association, Fort Des Moines Neighborhood Association, Coalition of South-side Neighborhoods, Blank Park Zoo, Neighborhood Development Corporation, Blank Park Golf Course, DART, Christ the King Church, and Warren County Economic Development Corporation. The first piece of the revitalization strategy is the creation of a corridor plan. This corridor plan will address five target areas: redevelop of blighted properties, encouraging property investment, land use and transportation, improving infrastructure, and promoting the corridor. The planning efforts are being led by tri-chairs Councilmember Christine Hensley and Councilmember Joe Gatto, and John Cacciatore. A draft of the plan is scheduled to be completed by the end of the year. The next piece of the revitalization strategy is the creation and enhancement of special events. There are currently many wonderful events along the corridor planned for this summer. 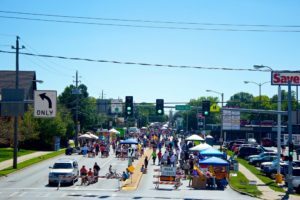 From Zoobrew to the Christ the King Sweet Corn festival, there are many events planned to highlight the corridor. 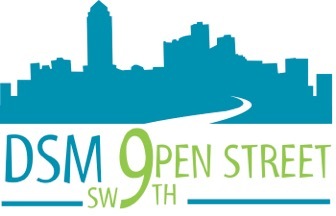 A reocurring event on SW9th is the DSMOPen Street. This open street event will be held on Sunday, September 9thth, 2018 along SW 9th between Park and Watrous. 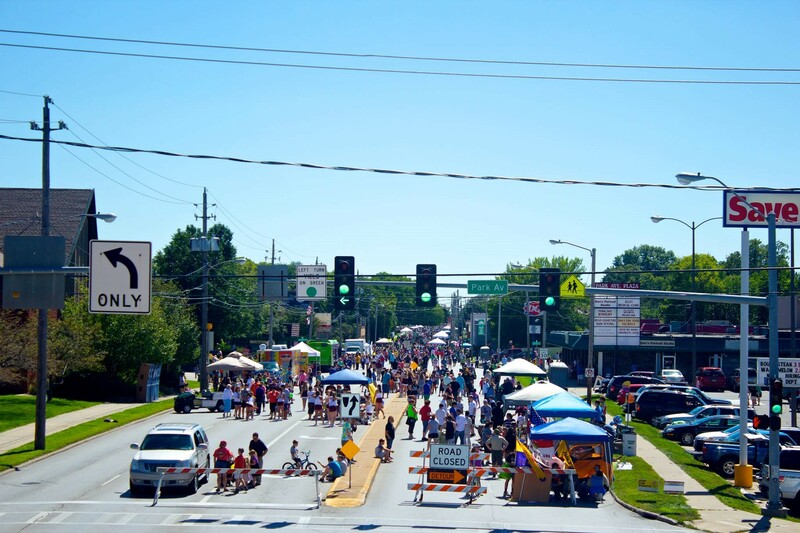 The final piece of the Friends of SW 9th equation, is community communications. There are many great things happening along the corridor, and our goal is to raise your awareness of them. For instant updates, please like the Friends of SW 9th page on Facebook. If Facebook is not your thing, look for our quarterly newsletter. 1. Space needs need to be reserved 45 days prior to the event. 2. Vendor is responsible for all tables, chairs and setup. 3. No equipment or advertisements shall be fastened to, or posted on any hydrant, light pole, street fixture, tree, bench or other permanent structure. 4. 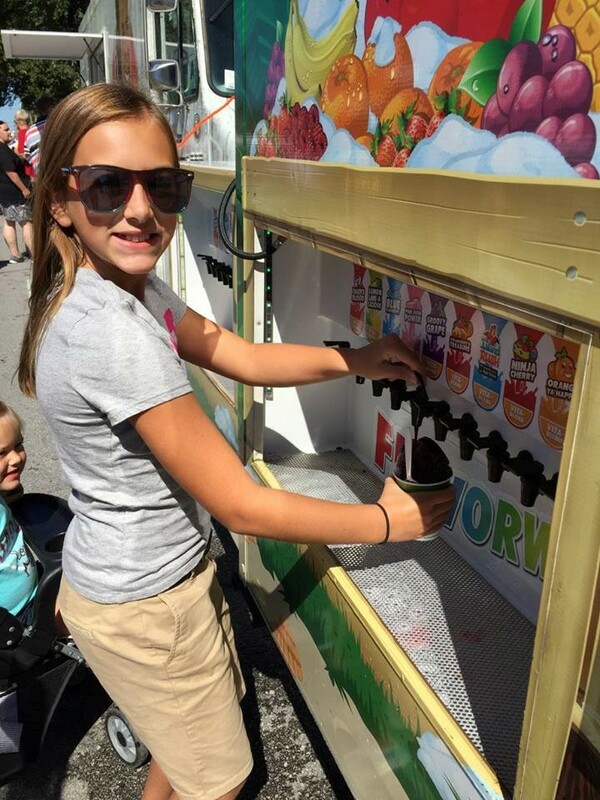 Each vendor must clean his/her area and remove all goods/equipment at the end of the event. 5. No live animal shall be sold, bargained, given or otherwise transferred. 6. Vendors of taxable goods or services must meet State Board permit requirements. 7. No alcoholic beverages to be sold. 8. Liability form must be signed before participating. 9. Liability: DSMOPEN STREET on SW9th Street cannot be held responsible for any lost materials, merchandise, gifts, articles or items, regardless of value. 10. No rain date will be reserved for the event. 11. Vendor must be approved by the DSMOpen Street on SW 9th Committee.